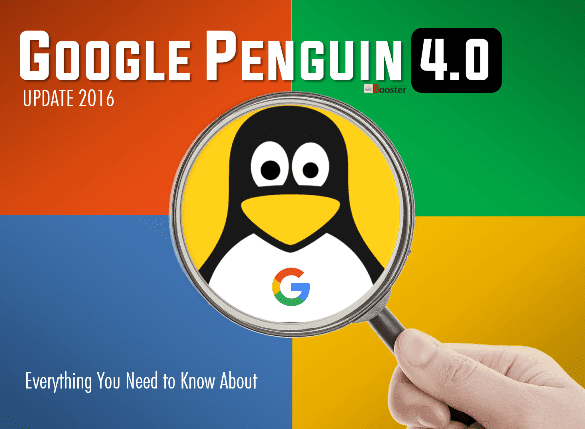 On September, 3 this year, Google finally announced the long-awaited Google Penguin update Ver.4.0 after close to two years. The most exciting part of this announcement about Google algorithm was that Penguin will now work in real-time, and websites won't have to wait for an update to recover from the penalties or the drop in their rankings. Now you don't need to be worried by Google search changes, as it becomes easy to get rid of google penguin recovery from penalties with this Google latest algorithm. As a professional, you must know how Google search changes that affect your blog, website, and business. From September, Google algorithm has started rolling out the Penguin 4.0 real-time algorithm. Earlier SEO algorithm by Google Penguin 3.0 updated in October 2014 and has made a great impact, in particular for bloggers. In this article, I'll describe Google penguin update 4.0 algorithm and how it affects your SEO. If you are new in the blogging industry, then it's the most important factor you should be aware of Google Penguin. Here I've described the latest 'Google Panda Update' and how it causes a positive & negative effect on your blogging journey. This is probably the first time that the Google search algorithm update has been lauded by the SEO community as it is all set to affect black-hatters (and gray ones too!) severely. So if you have been using legitimate ways to rank your website better with proper SEO updates, you have nothing to fear. The Google Update SEO Algorithm Penguin 4.0, which may sound be the final Penguin by-version update by Google is rolling out and we already see the changes in the search engine result pages. Check out how Google updated it's old Google penguin update 2014 to Google Penguin update 4.0 2018, referred to as Penguin 4.0 algorithm. Last time, we have discussed one of the most valuable blogging tips: 14 Secrets For Content Writing, That Every Blogger Must Know and it's really worth to follow as ultimately it affects your SEO and then Google Penguin read each aspect of it. 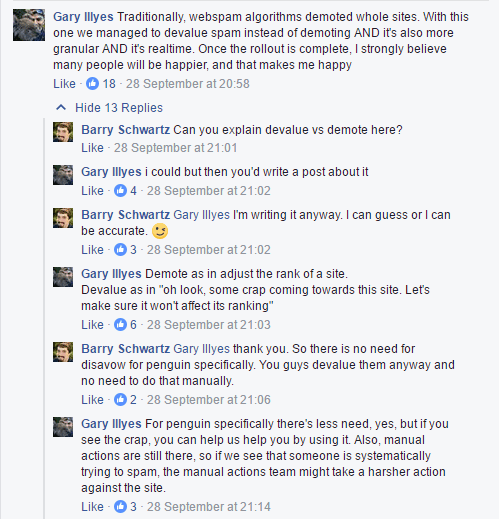 Gary Illyes, Google's Webmaster Trends Analyst, said in the official Google Webmaster Central blog announcement that Penguin is "more granular." So what does this mean for you and your website? Let's dig in. Google launched the first avatar of Penguin in 2012. This was done primarily to target sites that used shady and dubious techniques to fare better in the rankings game. These sites, and their black-hatted SEOs used techniques like keyword stuffing, cloaked (or hidden) redirected pages, spam duplicate content and unnatural links (like paid links). Every SEO who believed in using clean, legit methods agreed that these were indirect methods to boost site rankings. And Google couldn't agree more! And so, it unleashed the mighty and fearful Penguin to penalize sites that used underhanded methods to rank higher. Well, it's not a fearsome name for such a deadly warrior, but Penguin did the trick. Unlike the Google Panda update that was announced earlier this year, Penguin works in real time. Earlier, Google needed to update the ranking signals manually. The websites that plummeted in rankings, owing to non-compliance with the ranking signals, had to wait until Google came out with an update, even though the webmasters fixed the problems soon after being penalized by Google. Penguin is a boon for webmasters as they can help their websites recover from ranking drops as Penguin updates regularly, in real time, without any need for manual intervention by Google. The web page makes the job of SEO black-hatters all the more precarious because their dodgy techniques will be discovered quickly and they will be penalized with a drop in rankings. The real-time nature of Penguin will also mean that no more manual updates will be required. Another interesting aspect of the Penguin update is that it is, in Google's own words, more "granular." This means that Google will see which section of your site contains dubious (spam) backlinks and will specifically target that section by downgrading its ranking. This is unlike the earlier updates, where the entire domain was penalized even if just a page was being pointed to by spam-y backlinks. This means that only certain pages and sections of the site that do not follow the strict ranking rules may get penalized and not the entire domain. Clean up the Mess, before Penguin Finds Out! If you have been following white-hat SEO techniques and using authentic methods to build links, it is highly unlikely that Penguin will have an adverse effect on your website rankings. That said, even with Penguin, you cannot let your guard down as any let-offs can affect your rankings. If you notice a substantial drop in the page rankings on your site, check the link profile of that page and identify the spam links on that particular web page. Once you find them, disavow them. 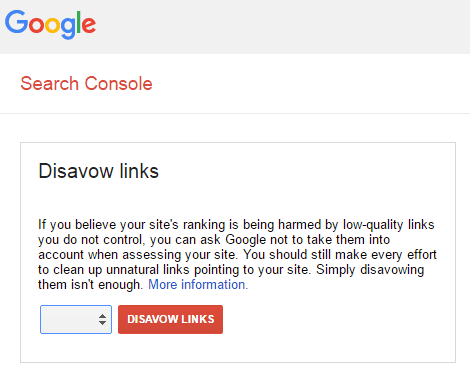 Google has a Link Disavowal Tool that you can use to specify links that you want Google to ignore. With a clean backlink profile, you can expect to recover from the penalty within a few weeks, or even earlier. Penalty recovery doesn't necessarily mean getting your earlier rankings back. It means a squeaky clean backlink profile and zero bad links lurking around and about your pages. You can then start your journey towards better rankings by building authentic and authoritative links in a consistent manner. From what Gary Illyes told Barry Schwartz of Search Engine Land, it may seem like if Google only devalues spam and doesn't demote it, the disavow file isn't really useful. And Illyes did mention (see below) that "For Penguin, specifically, there's less need" for the disavow file and added that "manual actions are still there" and that "the manual actions team might take harsher actions against the site" if it is systematically trying to spam. This means that Penguin simply ignores spam links and adjusts rankings accordingly, instead of penalizing the site or specific pages. Ranking drops are, thus, a signal to webmasters that their backlink profile isn't clean and that they need to build more authority links for the pages affected by Penguin to get a ranking boost. Because Penguin is an algorithmic update, it is also unlikely that you'll see warning messages in your Google Search Console. You will see a substantial drop in your search rankings for particular web pages, those that Penguin seems problematic. This is different from the webmaster being notified by Google through a Manual Actions report. How Much Has Penguin Affected the Web? In the aftermath of the initial Penguin rollout, only 1-2% of the searches have really been affected. More than 70% of respondents in the SEO Round Table poll claimed that there had been no impact on their site/page rankings. This means that only the most spam-y and low-quality sites/pages were affected with huge search result drops, while the sites that followed honest SEO practices weren't affected. Google has always wanted people to build sites with great content that provides real value to readers. In fact, Penguin really is only one among the 200 ranking signals Google uses to rank pages and sites. It is one of Google's several attempts to penalize spam-y sites that contain bad/questionable link profiles. Contrary to what people may think, link building hasn't become obsolete with the introduction of Penguin 4.0. In fact, building high-quality and authoritative links has become more important than ever. With the real-time and granular nature of Penguin 4.0, link-building tactics will also evolve to address these features. It is in the best interest of webmasters that they use robust link-building strategies for better rankings. The best way to not worry about Penguin, Possum or any other Google update is to build an authentic, authority content that offers tangible value to consumers. Great content will elicit meaningful conversations, which cannot be ignored by Google. It will then reward sites by giving them better rankings. So, if you keep your focus on providing amazing content, you can rest assured that Penguin will always be there to protect you. Article By Avinash Nair - He is a digital marketer @E2M, the premium digital marketing agency from India. He is expert in Content Marketing and SEO services.